Research shows 65% of the time grass finished beef is not as tender as desired. Additional research shows 24% of the time normally finished beef is considered to be tougher than ideal. The project In search of the “Perfect Steak” started in 2002 when Hendrix became intrigued with the work by a WSU scientist in chromosome level genetic markers associated with several characteristics, including beef tenderness. Frank started a quest to find artificial Insemination (AI) sires that indexed a 9 or 10 in tenderness. He also initiated work with cooperating producers to produce a herd of cows indexing 8 to 10 in tenderness without phenotypic problems. The project is on-going and a group of production cows is being developed. Experiments testing the use of DNA markers for ranking tenderness and then correlating the ranking into the selection of live animals has been completed. A summary is currently being written for publication, but there is a very significant difference in our method of ranking. Normal American beef is ranked a T-4. The most tender beef is a T-10. There is a large and significant difference in T-4 and T-10 beef, and while T-10 is currently rare in the American beef industry it can be selected for. A value added marketing advantage has yet to be established, but is promising. 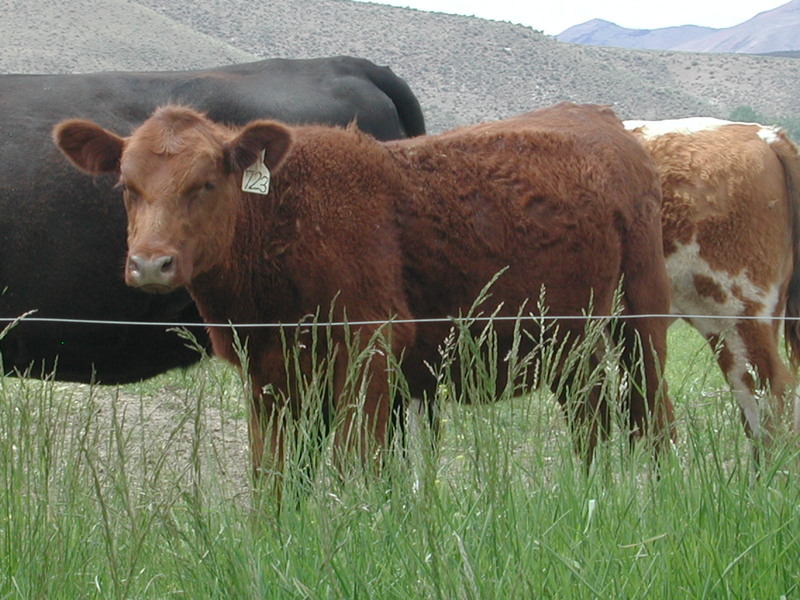 Beef produced from cattle indexing 8 to 10 in tenderness are extremely desirable and has a significant difference from the normal marketed beef. The perfect steak may have been found. In 1986, Hendrix became interested in a bloodline of Polled Dorset sheep that had extremely heavy muscling. In his research and field studies it became apparent that a single ram was directly related to all studied lambs. In 1989, Hendrix lead a team of scientists, from Washington State University, the University of Idaho, Utah State University and USDA Dubois Research station to work on the heavily muscled sheep project. WSU does not have a sheep research facility so Hendrix built a flock of 250 ewes for research and field studies in Yakima County. During nine years of studies of this project the Callipyge gene and its inheritance method was discovered and studied. A small number of lambs inheriting the Callipyge gene were discovered to be tough when harvested so meat research was ended in 1999. When Hendrix discovered the Callipyge gene and its mode of inheritance, he found the only gene in the animal kingdom to “turn on” in a known inherited definite pattern. Due to this genetic discovery and the discovery of the inheritance, epigenetics (the science of communication between genes) was greatly enhanced. The Callipyge gene discovery has led to many advancements in epigenetics and the development of “gene silencing” pharmaceuticals for inherited cancers, diabetes and schizophrenia. Two scientists who have won the Nobel Prize for medicine in 2006 (Dr. Fire and Dr. Mellow) mentioned the discovery of Callipyge as being crucial and key to their studies of epigenetics. Currently, hundreds of gene silencing drugs are in various stages of testing and production. One of the first is a drug for Hepatitis C that is extremely effective. Just finishing stage 3 testing is a drug that can stop some types of leukemia and is over 90% effective.